When Israelis talk about home cooking, they don’t always have their own home in mind. When I fantasize about the Israeli home cooked meals I miss, I think of my mother’s meatballs in green beans and tomato and her chopped liver, but also of the Libyan mothers’ mafroum - ground beef sandwiched between potato slices and cooked in tomato sauce - and couscous. I think of Yemenite kubaneh - a pastry baked overnight; the many eggplant salads at Balkan restaurants; and my Iraqi grandmother’s kubbeh soup. Israel is a special haven for foodies, and visitors curious about how modern Israel was formed can taste the history of the communities who arrived from North Africa, the Levant, the Middle East and Iran, Yemen, the Balkans, the former Soviet Union and Eastern Europe. Many of the communities are not recent arrivals, but small restaurants around the country still offer their traditional Diaspora fare in their own bubbles of nostalgia. Besides all the talked-about chef restaurants, Israel has a long list of wonderful ethnic restaurants. The food, whether it’s Moroccan spicy fish in red sauce, Hungarian stuffed cabbage, or Turkish burek, is based on tried and true recipes that date generations back. Traditional restaurants can be found in any city, and they offer a rare opportunity to try authentic dishes from around the Jewish world within a short drive from each other and without breaking the bank. These restaurants are likely to be kosher, and thus closed on Shabbat. Palestinian restaurants fall into the same category of tried and true traditional food, and being indigenous to the region, the foods there didn’t have to undergo the adaptations that other cuisines, such as Yemenite or Ashkenazi, underwent when moving to Israel. Palestinian restaurants are a must for any visitor who is curious about local cuisine. My favorite dishes are the extensive mezze course served at the beginning of the meal. 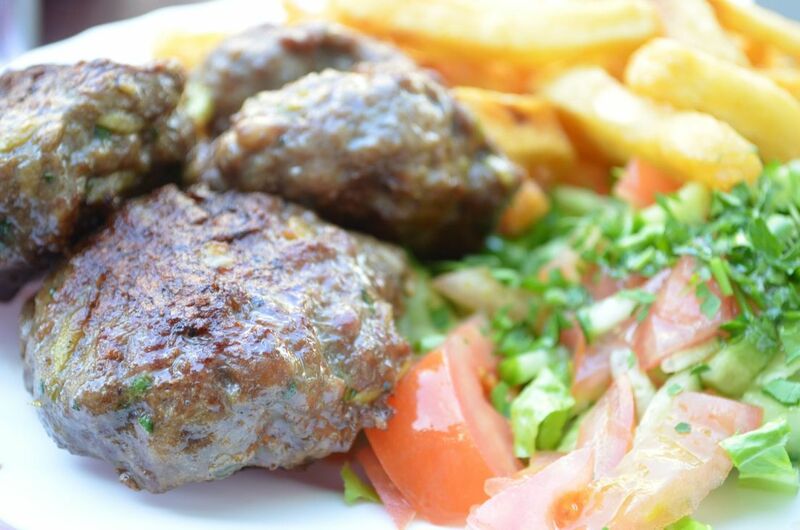 You’ll hardly have any room left for main courses, which include kebab in tahini, stuffed lamb neck or meat skewers. At El Tanur, as with most Palestinian restaurants, the mezze course is the best part of the meal, and the colorful, boldly flavored salads and dips will leave you wishing you could eat more. 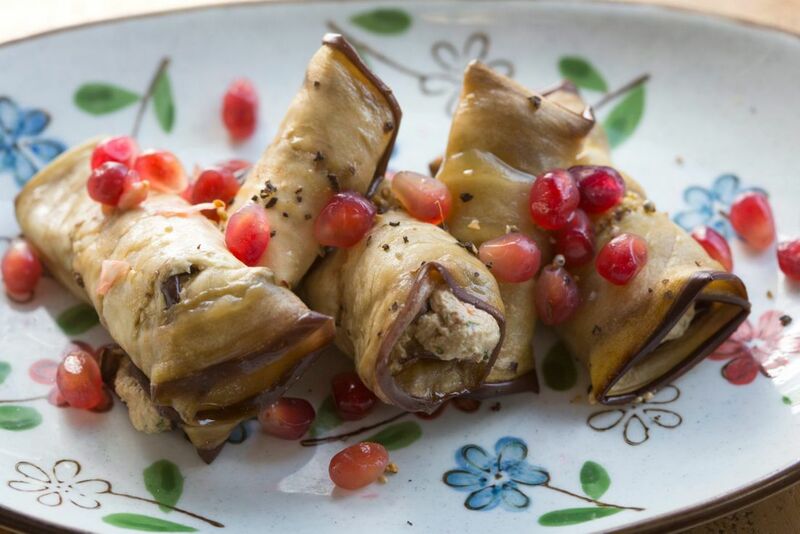 You can expect small plates with wild watercress and radish salad, tabbouleh, roasted and fried eggplant, okra in tomato, stuffed grape leaves, hummus and tahini, labneh, pickles, and bitter olives, to name just a few, all served with freshly baked pita from the taboun oven. Main dishes inlude grilled meat or stuffed neck of lamb. El Tanur, Reineh (at the gas station at the entrance to town), 053-7105323. Also try Diana, 51 Paulus Hashishi Street, Nazareth, 04-656-0349, and Ezba, Rama-Sajur junction, 04-9888808. Libyan cuisine, specifically from Tripoli. The menu includes couscous with chickpea and root vegetable soup, chraime (spicy fish in pepper and tomato sauce), mafroum (potato slices stuffed with beef and simmered in tomato sauce) and the famous shakshouka - a sizzling frying pan of eggs poached in a spicy tomato and paprika sauce. Doctor Shakshuka also serves a true lamb shawarma (most locations in Israel serve turkey shawarma with lamb fat) that many consider the best in the country. 3 Beit Eshel Street, Jaffa, 03-6822842. Kosher. Other excellent Libyan restaurants include Bechor and Shoshi, 10 Abu Chaziera Street, Bnai Brak, 03-5793856, and 13 Yad Harutzim Street, Tel Aviv, 03-6872895 (kosher) and Checho, 10 Shoham Street, Netanya (in the market), 09-8614511 (kosher). 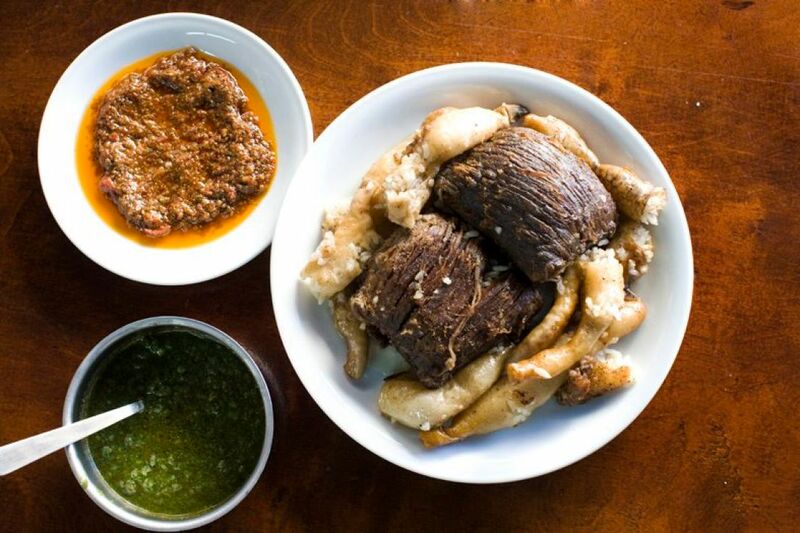 The Yemenite Jews use a few simple ingredients like flour, clarified butter, marrow bones, fava beans, vegetables and spices to create tempting delicacies like marrow bone soup with turmeric and fenugreek (two of the essential spices in the Yemenite spice mix hawayej) and comforting, wonderful pastries like lachuch (similar to Ethiopian injera), kubaneh, melawach (fried puff pastry) and jachnoon (overnight cooked rolls) served with tomato salsa. On the west side of Tel Aviv’s Carmel Market is the Yemenite quarter, and it's a good place to find some of the original restaurants that have been serving Yemenite soups and stews for years. They include Rina and Zechariah, 22 Hakovshim Street, Tel Aviv, 03-5177612. In south Tel Aviv you’ll find Sa'adya, 1 Menachem Tuvia Madmon Street, Tel Aviv, 03-6315899. Also recommended: Original Yemeni House, 25 Herzl Street, Be’er Sheva, 08-6288858. Azura is an Iraqi restaurant nestled in the small Iraqi lane within Jerusalem’s Mahane Yehuda market. Dishes simmer for hours on small burners in large pots, and it’s hard to choose among them. You'll find okra or green beans in tomatoes and beef, oxtail stew, and stuffed vegetables. But the queen of the kitchen is the kubbeh soup, which contains dumplings stuffed with ground beef and cooked in red beet or tart Swiss chard soup. 4 Ha'eshkol Street, Jerusalem, 02-6235204. Kosher. Nearby you’ll find other excellent restaurants that serve Jewish Iraqi or Kurdish food: Rahmo, 5 Ha'eshkol Street, Jerusalem (kosher) and Morduch, 70 Agrippas Street, Jerusalem (kosher). Supra is a new Georgian restaurant that serves all the classics, including eggplant rolls in walnuts and pomegranate, khachapuri with cheese and egg, and khnakli dumplings, alongside Georgian wine and loud Georgian music in the background (live music on Sunday). 11 Rothschild Boulevard, Tel Aviv, 03-5356433. Also try Hachapuria, 5 Hashikma Street, Jerusalem (at the Machne Yehuda market), for Georgian fast food; and Nanuchka, 30 Lilienblum Street, 03-5162254, Tel Aviv, for vegan Georgian fare. There are not enough Ethiopian restaurants in Israel, but more are popping up every year. 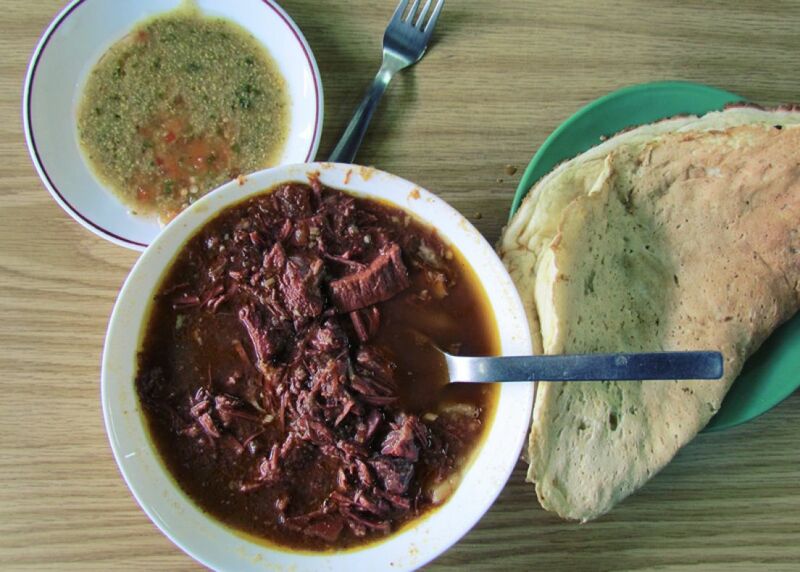 The food is usually similar to that served in Ethiopian restaurants in the United States – salads, legumes and stews arranged on a large injera flatbread. 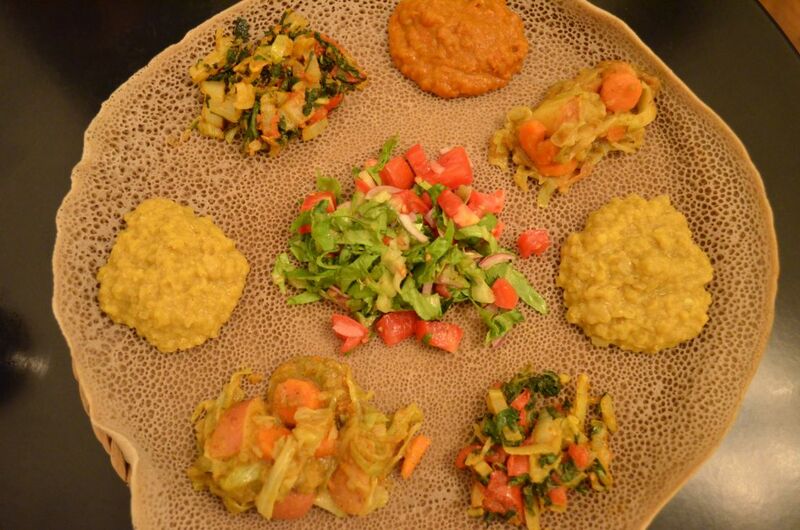 In Tel Aviv, Tenat is a vegan Ethiopian restaurant, 27 Chlenov Street, Tel Aviv, 03-5222829. Also try Lala, 32 Teler Street, Rehovot, 08-9964644. There are many Persian restaurants in the United States, but most specialize in kebabs served alongside boring white rice. It's much harder to find places that celebrate the true richness of Persian cuisine, with home-style stews and rich rice dishes. One of the best known Persian dishes in Israel is gondi soup - dumplings of chickpea flour and chicken cooked in a bright yellow turmeric chicken broth. Most places will also serve stews like sabzi, with herbs and beef, and rice dishes cooked with pomegranate and barberries. In south Tel Aviv: Ghormeh Sabzi, 47 Levinsky Street, Tel Aviv, 03-5080709; and Salimi , 80 Nahalat Binyamin Street, Tel Aviv, 03-5188377. Also try Gohar, 26 Hata'as Street, Kfar Sava, 09-7664533. Balkan restaurants serve some of the best food, thanks to the Ottoman Empire and its culinary influence. Israelis are addicted to Turkish-style burekas, and you can find them everywhere, from supermarkets to specialty bureka stores. Take the effort to find restaurants that specialize in Romanian or Bulgarian cuisines. There you can try grilled kebabs full of garlic, shkambeh (tripe) soups, leek latkes, carp roe dip (ikra), moussaka and eggplant salads, along with papanash (fried cheese dumplings), for dessert. It's not going to be a light meal, but you'll love every minute of it. In south Tel Aviv: Monka, 15 Yehuda Hayamit Street, Tel Aviv, 03-6820723 and Romanian Rhapsody, 3 Salame Road, Tel Aviv, 03-5187476. Many American Jews are surprised by how hard it is to find old fashioned "Jewish food" in Israel, the land of the Jews. In America, the term Jewish food usually refers to Ashkenazi food, but in Israel the term is much wider and includes all the cuisines mentioned above, and many more. 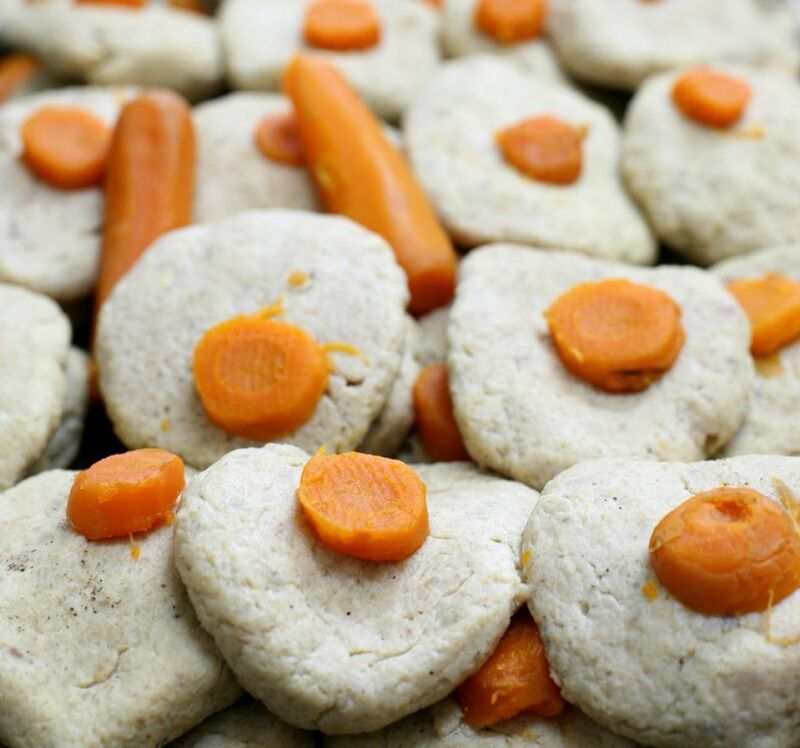 And while it's not always easy to find Ashkenazi food, it's still alive and kicking in ultra-Orthodox Ashkenazi communities. 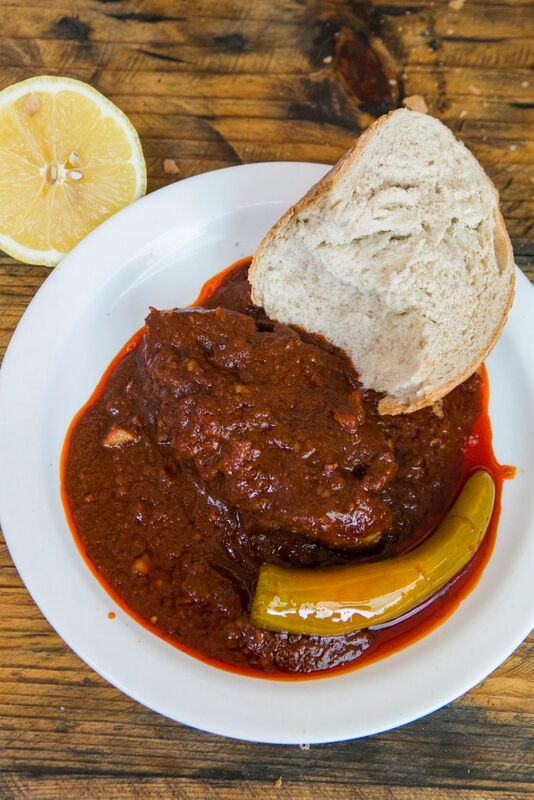 You’ll find small places that serve everything you hoped for, from borscht to chopped liver with schmaltz, to homemade cholent with real kishke. Deutch is located in the center of the ultra-Orthodox neighborhood Mea Shearim, and it’s the real deal. Do not miss the caramelized, peppery Jerusalem kugel. 32 Mea Shearim Street, Jerusalem, 02-5829529. Also try: Shmulik Cohen, 164 Herzl Street, Tel Aviv, 03-6810222, and Heimishe Essen, 19 Keren Kayemet Street, Jerusalem, 02-5639845.